Mackensy Lunsford and Asheville Scene strike again: They’ve got the scoop on a new North Asheville restaurant. The owner of Ceci’s Culinary tour, Cecilia Marchesini, is behind the new venture. Marchesini operates a food truck from which she frequently vends crepes, tamales and empanadas. You may have seen her at the Wedge Brewery, at LEAF or at the Montford and North Asheville Tailgate markets. Veteran eaters on the Asheville food scene may also remember Marchesini from Cafe Soleil, a creperie that opened at 62 Lexington in 2003 — coincidentally where Bouchon is located now. 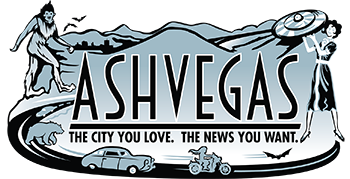 Check out Friday’s Asheville Scene for more. Other new restaurants in the area to look out for include Dough, the new chef-driven market and deli set to open in December. Larry Halstead is a tech nerd with an affinity for arts & sports. Reppin' the hard streets of South Asheville for almost 15 years. He's made this city home and has vowed to never stop fighting to keep it as weird & unique as possible.